Travelling light, cheap and informed. My sister and I went for two weeks to Cuba this year. We stayed at the Barlovento, a small resort on 1st Ave about 1 klm from city centre, near the entrance to Varadero Peninsula. Barlovento was fine. The rooms were clean, the beach beautiful and the evening entertainment was great. The dance troupe was thrilling to watch. It was a pretty chill place. Our Cuban friends were able to join us under the shade of huge trees and we spent many days together enjoying the beach chatting with other beach goers and marveling at the lengths little boys will go to, trying to catch a lizard. One red flag day. Waves were huge. On the downside the resort ran out of wine occasionally, egad! (we brought our own into the buffet with no problem). The food wasn’t the best. I found it worthwhile to wait in the line-up for eggs in the morning and pasta in the evening. These were good but after two weeks nothing to look forward to. We ate out at many of the restaurants around the resort. Some of the restaurants we ate at included: KiKi’s and La Sangria for pizza, LaiLai’s for Chinese food, La Casita (which is a treat to eat at and check out all the beautiful antiques including some of interest to Canadians) and Coral Restaurant on the beach by Aquazul. 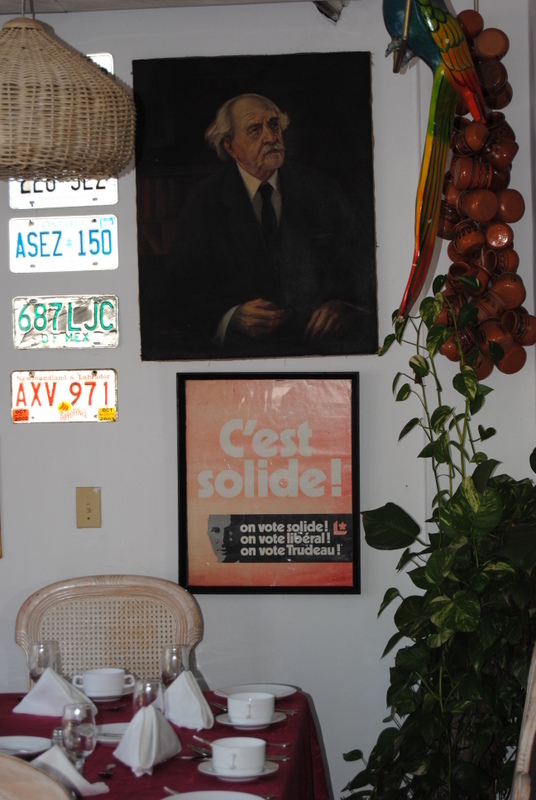 La Casita had Pierrre Elliot Trudeau Liberal posters and a picture of Trudeau on the walls. During one of our weeks there is was a school holiday. It was a highlight of the trip to see all the young people enjoying themselves on the beach. There was a kite surfing business set up on the beach just down from Barlovento and lots of young people were gathered there. 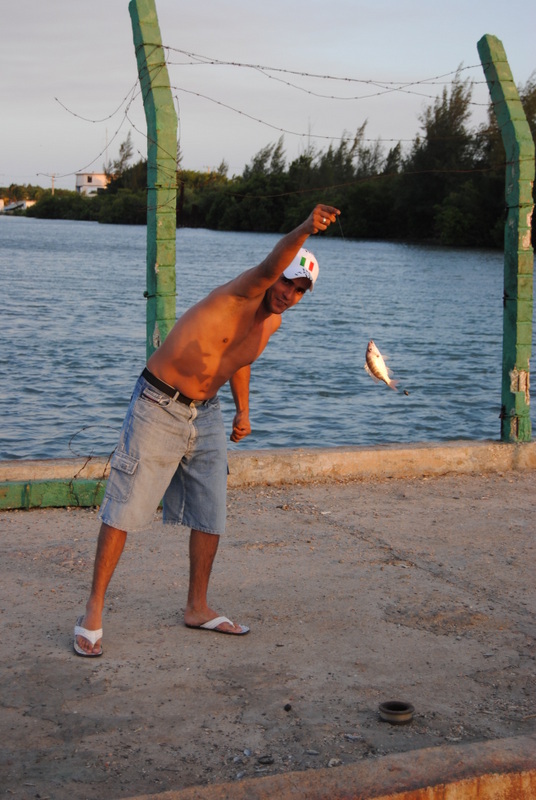 Many also spent time fishing in the canal across from the resort and jumping off the bridge which signals the entrance to Varadero. 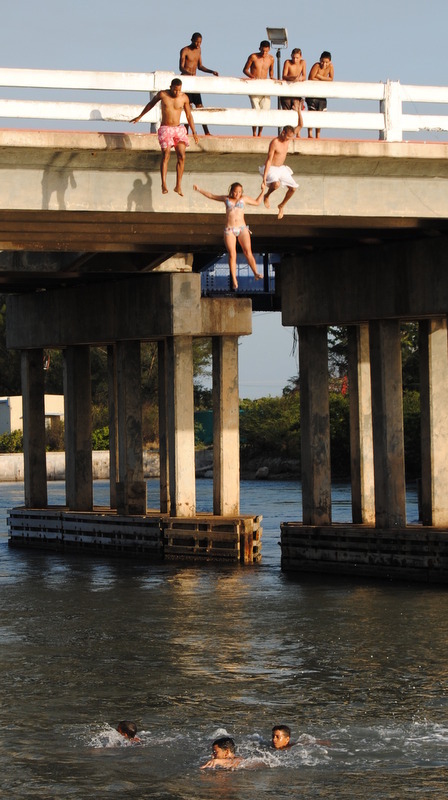 They had lots of encouragement from their friends in the water and watching from the side of the road. There were barracuda swimming in the water they were jumping into. We took our cameras out to get some photos and met all sorts of friendly people, swimming, fishing or just out for a stroll. Varadero has changed a lot in the past few years. 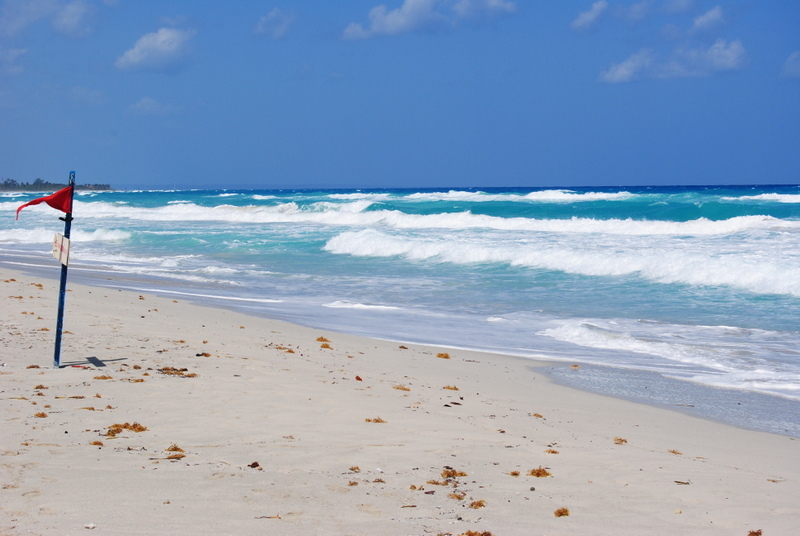 This year foreigners are able to stay in Casa Particulars in Varadero. 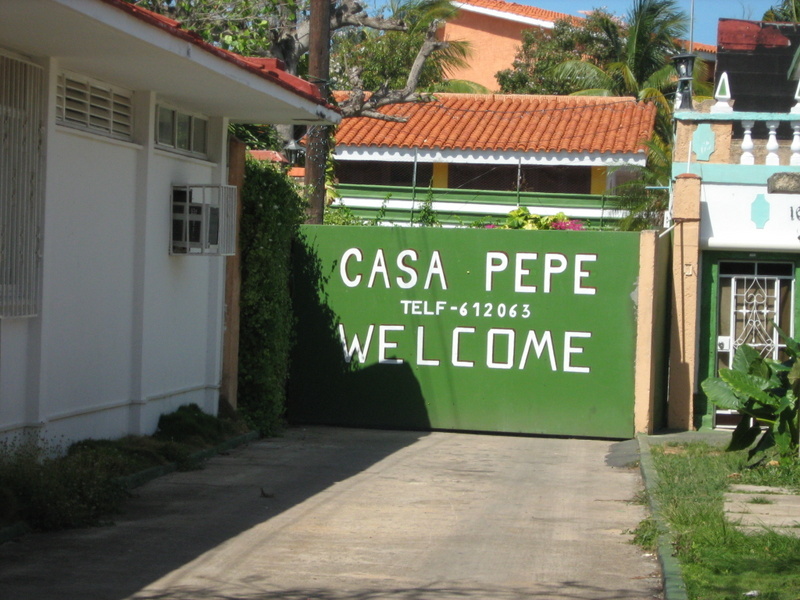 Casa Particulars are Cuba’s version of a Bed and Breakfast, and in past years they were not available for visitors to Varadero. This is great news for people who want to visit the beautiful beaches but prefer not to stay at an all inclusive resort. 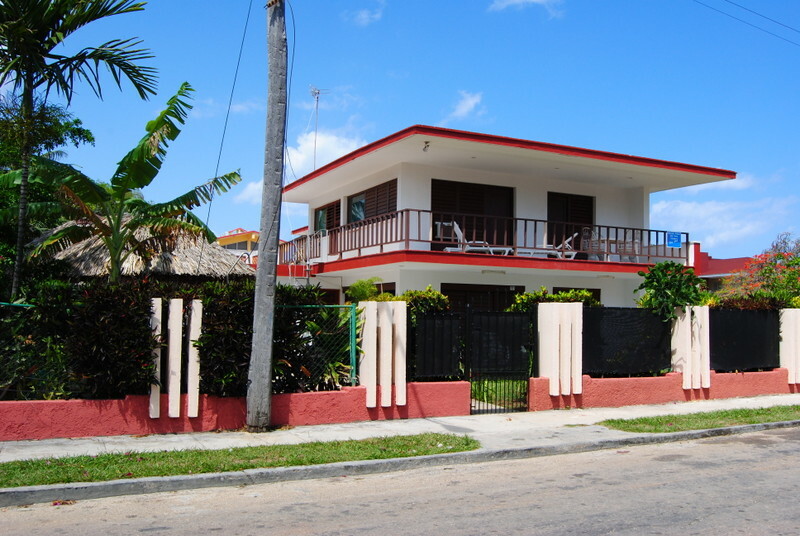 These Casa Particulars are located on the street beside the Barlovento Hotel in Varadero. Particular cars are now licensed to take tourists. 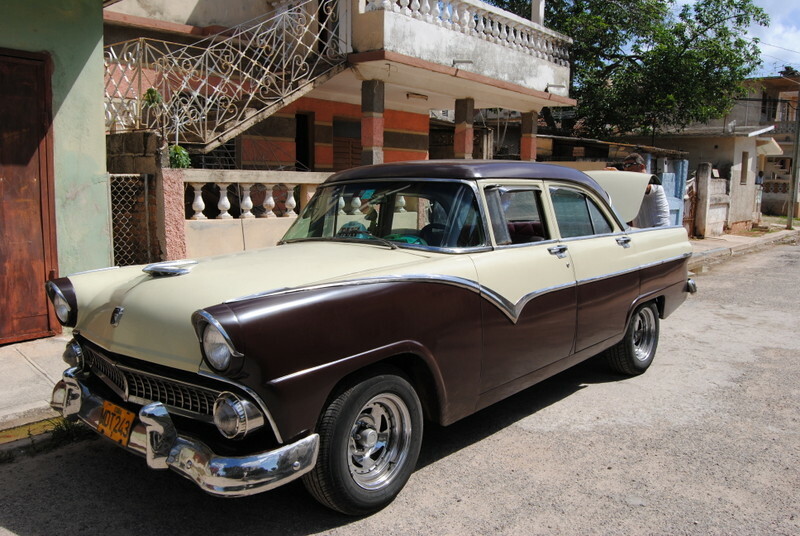 This gives tourists an opportunity to hire an independent driver who has lovingly restored one of the beautiful old cars that Cuba is so famous for. This is Gonzalo Rojas’ particular car. We hired him to take us to Matanzas and Boca to visit friends. We walked across the bridge to an area where lots of particular cars were parked and discussed the price before we got into the car. Small markets are popping up all over the place as well. 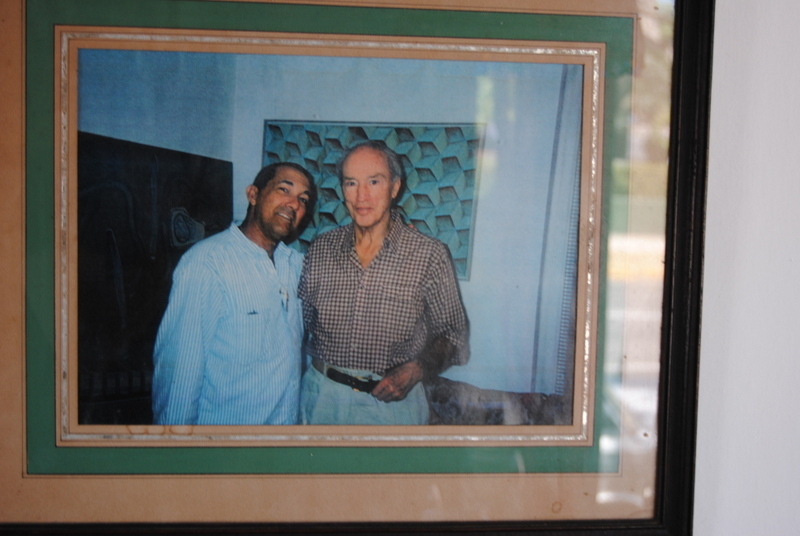 Free enterprise is becoming more and more a part of life in Varadero. This is the biggest change and one that I am happy to see as it benefits the people of Cuba.